Happy pre-Fourth of July, everyone! The Fourth is one of my favorite holidays – beers, boats, grilling, fireworks – and all things AMERICA! I'll be away from the blog for the next couple of days, and back next week with some more summer-inspired posts. 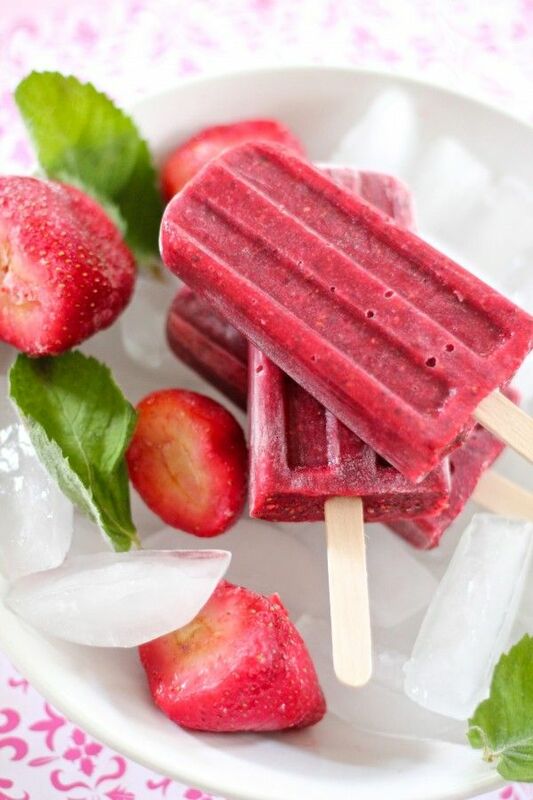 For now, enjoy this amazing recipe for Raspberry, Strawberry, and Mint popsicles. I bought a popsicle mold recently and these were the first pops I made. They're just like your favorite store-bought fruit pop, but BETTER, and obviously not full of preservatives and dyes. The mint makes them so refreshing, too – perfect to reach for on a hot day. I'm now scheming what flavors are next...maybe some boozy margarita pops? Enjoy, and have a happy and safe Fourth of July!